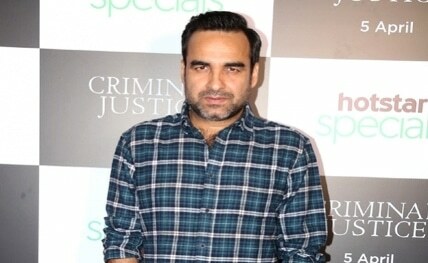 Mumbai, April 13 : Actor Pankaj Tripathi will be seen in a cameo role in Irrfan Khan’s upcoming film "Angrezi Medium", the sequel to the widely appreciated 2017 entertainer "Hindi Medium". On his role, Pankaj said, "It’s a cameo appearance. It’s my love and respect for Irrfan and my friendship with Dinu (Dinesh) that made me say yes to it. I always wanted to work with Irrfan and when Dinu offered me this role, I immediately agreed even if it’s just a cameo role."